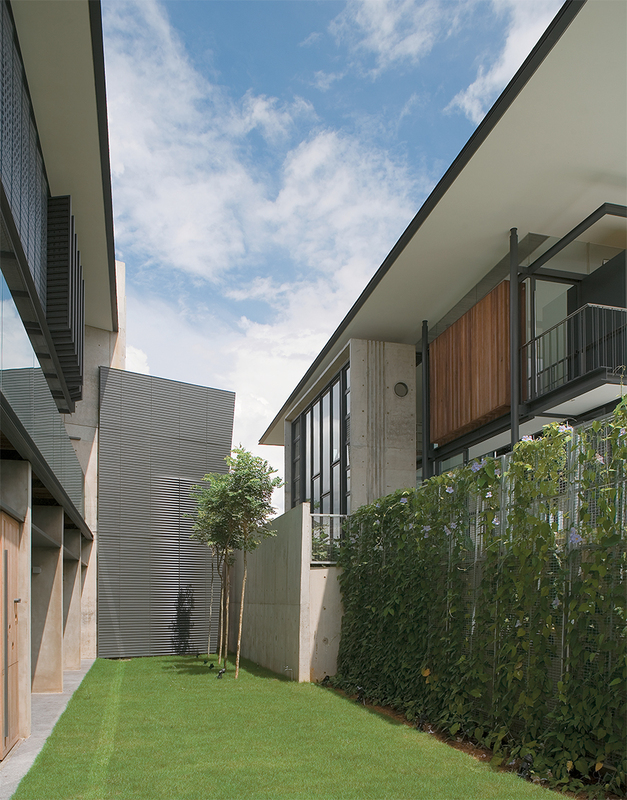 The Johor house is a multigenerational family dwelling consisting of five separate but linked villas within a compound located close to what is referred to as ‘the second crossing’ between Malaysia and Singapore. The gently sloping site will eventually be planted with an orchard and trees around the perimeter. One dwelling is designated for the parents’ occupation and for family gatherings, with semi-independent villas for each of their four children and their families. This house has a V-shaped plan with the apex pointing to the northeast and two ‘wings’ splayed at an acute angle to enclose a southeast-facing triangular garden. The longer of the two wings runs due east. Essentially, this is a 100-metre promenade architecturale to which the villas of the four siblings are attached like parallel ribs, that gradually descends some 7.5 metres at 15-metre intervals pointing south. The four villas are of precisely the same configuration, with a master bedroom at first-floor level and an open-plan dining /living and kitchen at ground-floor level overlooking a south-facing timber deck sheltered by a 6-metre-high cantilevered roof. Three bedrooms at basement level look into a high walled private courtyard. 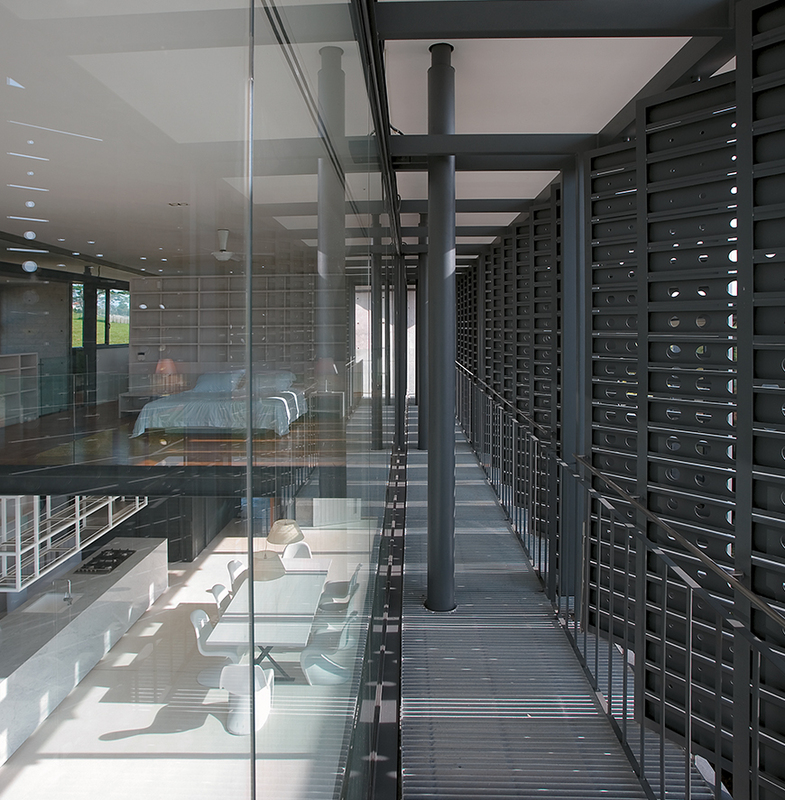 Each house is orientated east and south so that it presents a less transparent façade to the west. The shorter of the two wings runs south-southwest for about 50 metres, and located along this route are various shared family spaces in the form of a library, a study and a games room overlooking a pool. Extending some 150 metres beyond the pool is a narrow walkway leading to a viewing tower in the southeast corner of the site. At the apex of the two wings, on slightly higher ground, is the ‘parents’ house’, which is similar in its linear form to the dwellings of their four children. All the rooms in the main house are orientated towards the east, and a wide terrace looks across the garden metaphorically embracing and protecting the family. The formal entrance to the family compound is on the western boundary. The main house is the principal space for reunions of the immediate family members and their extended family from different parts of the world. 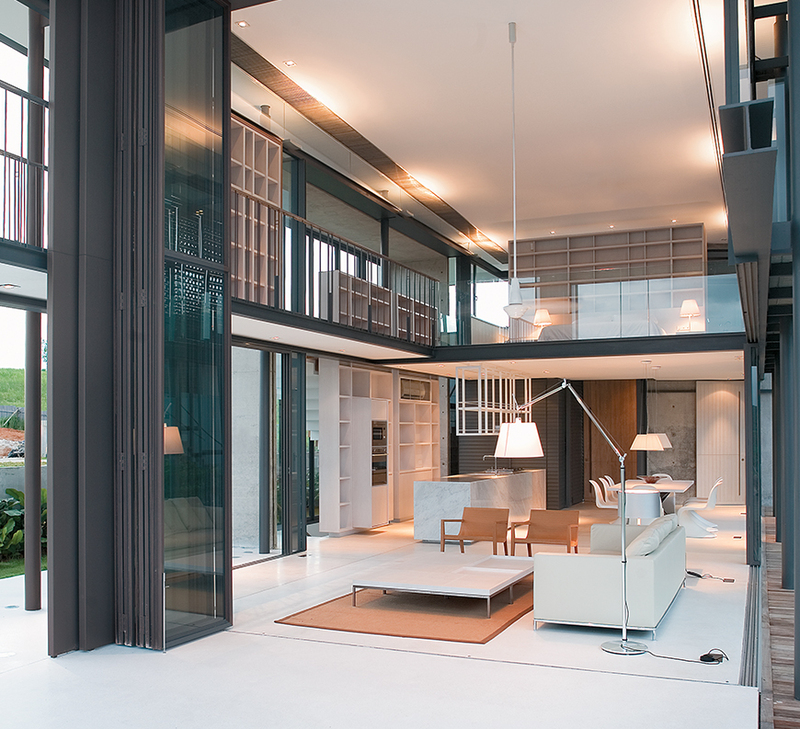 A number of formal and informal reception and dining spaces are grouped around the foyer. 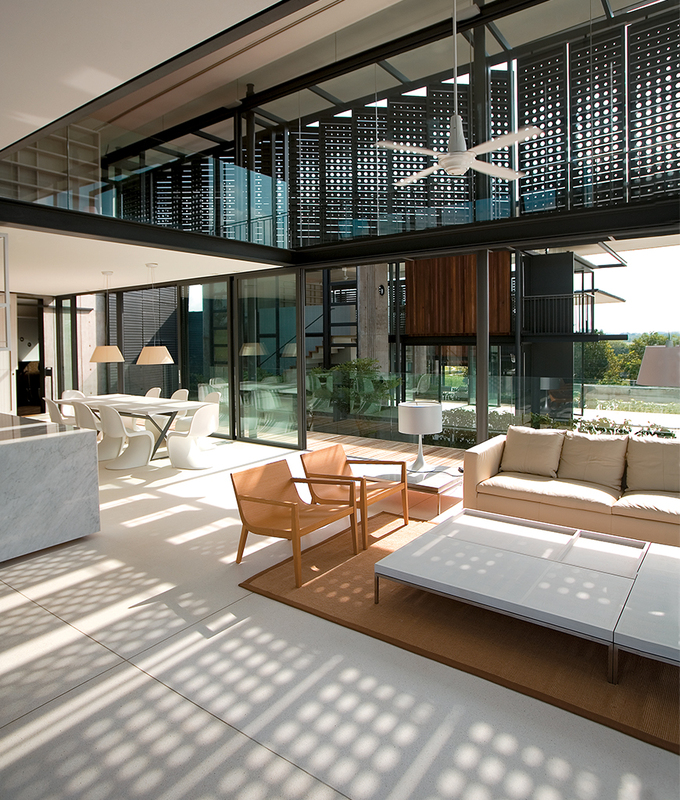 The architectural language of the Johor House is assertively modern, with shallow inclined roofs projecting over the semitransparent orthogonal boxes that comprise the accommodation. The notion of an extended family compound is particularly relevant in Asian society and the brief for the house was formulated by a strong matriarchal figure. The plan of the house reflects a family structure that shares a strong bond but allows some freedom for each family member. The architectural language is unambiguously forward looking and innovative. This article was published in the September 2015 issue of Inspire Living Magazine. Download it here!